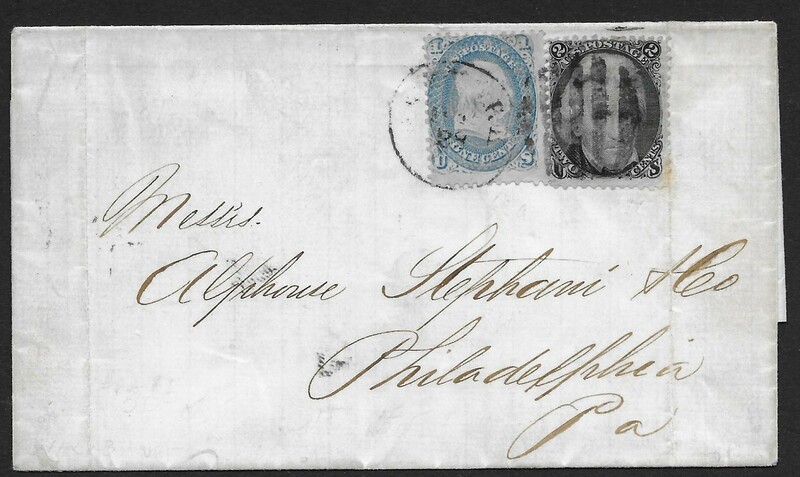 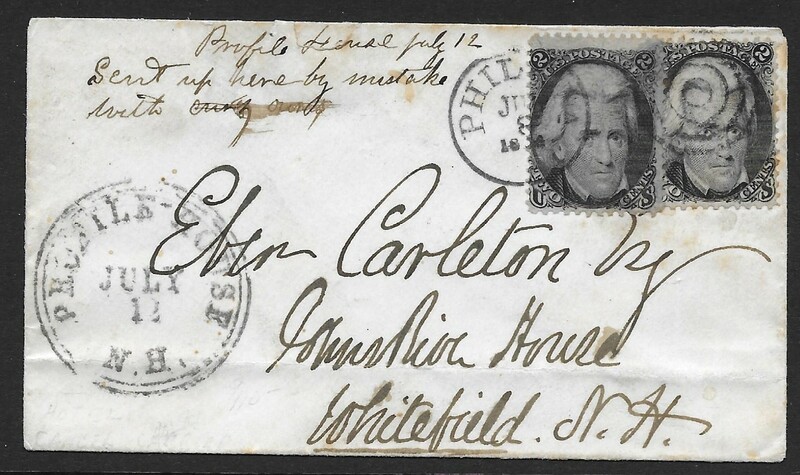 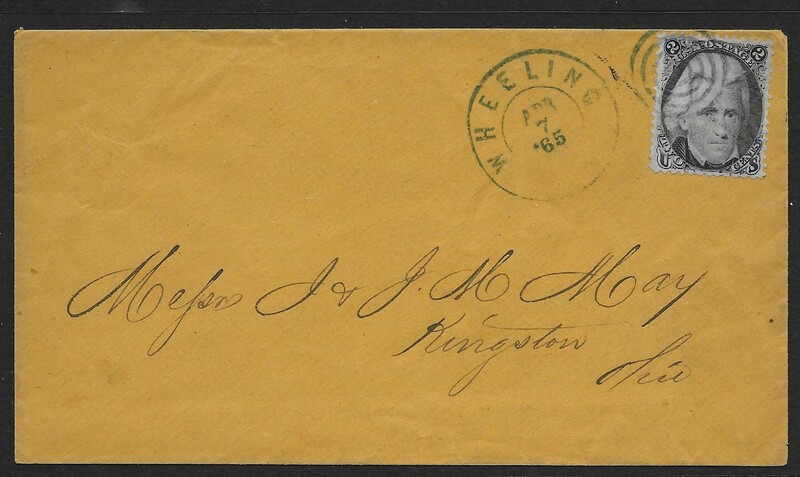 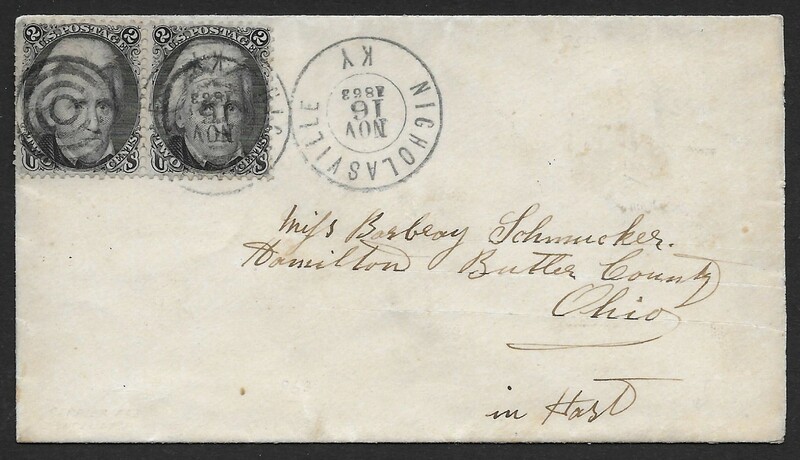 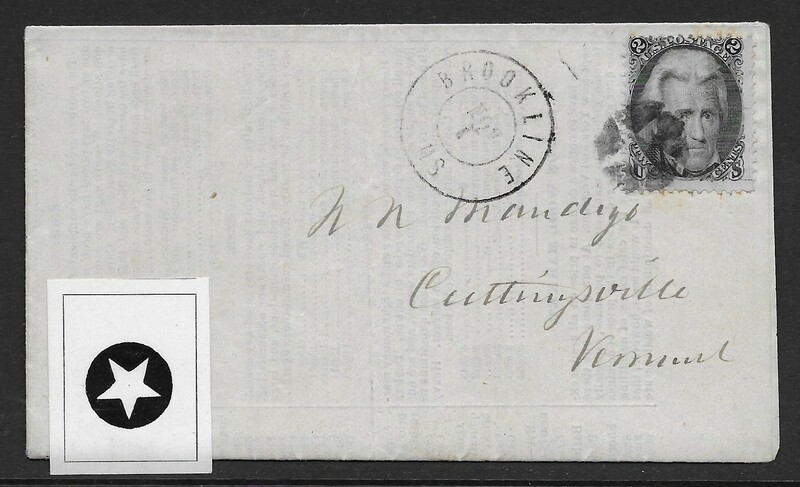 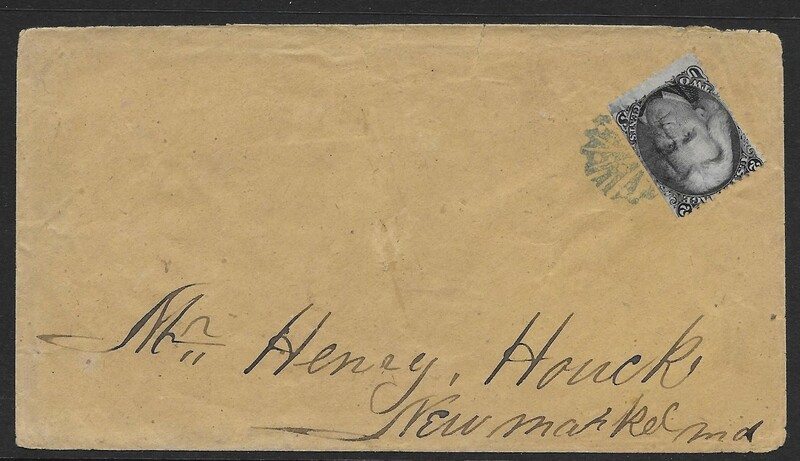 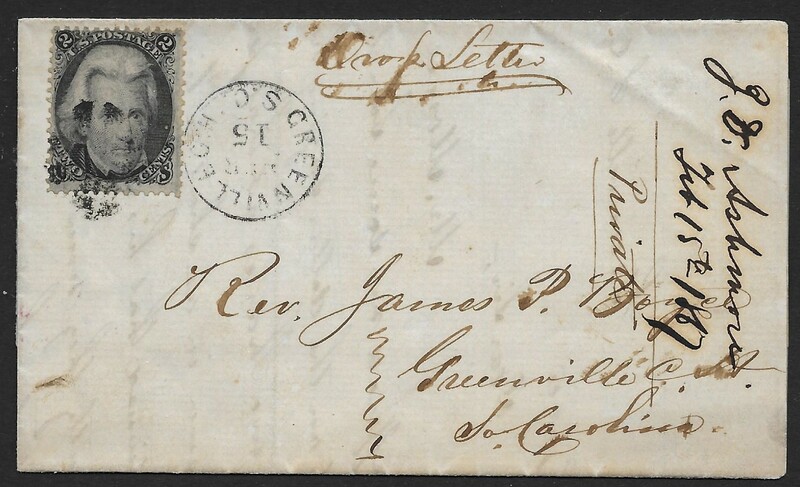 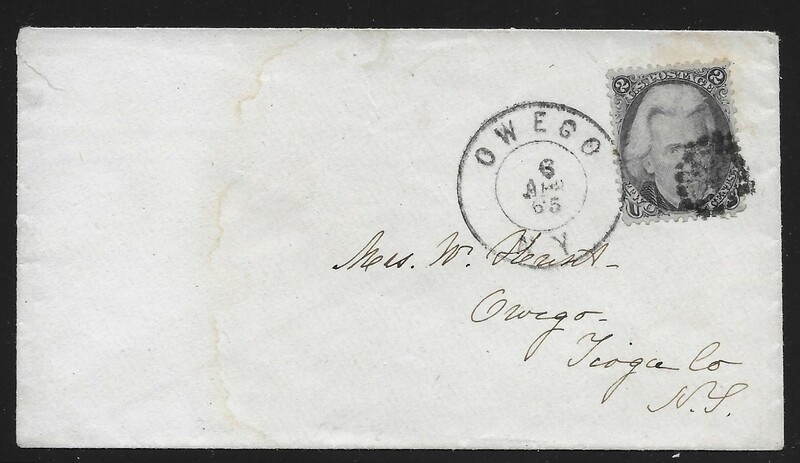 1c Blue + 2c Black, struck with large "Paid 3" in arc cancels on domestic rate cover to Copper Hill, New Jersey. 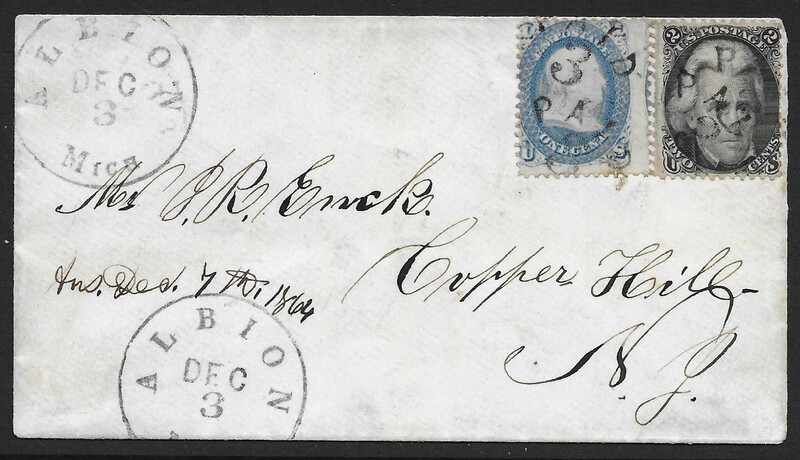 Albion, Mich. De c3 CDS accompanies. 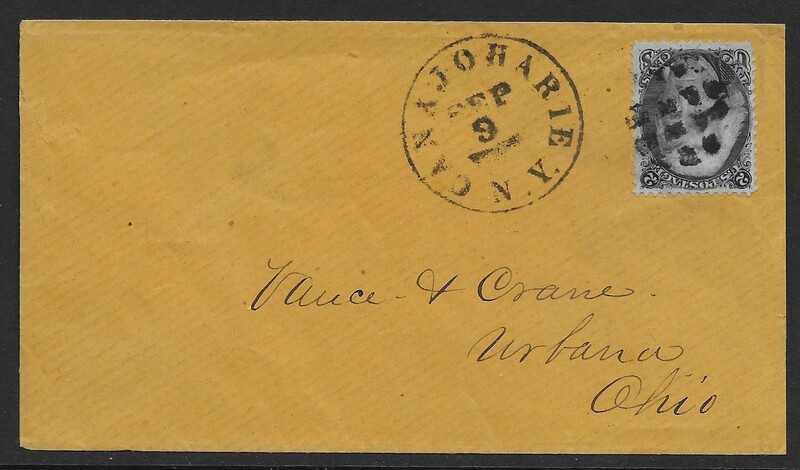 The "3" in the Paid cancel is especially large! 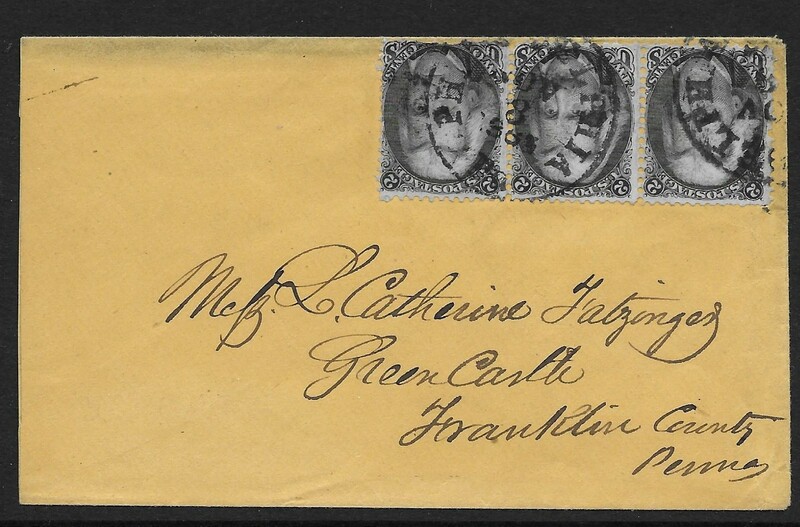 Back stamped: "Herman Toaspern". 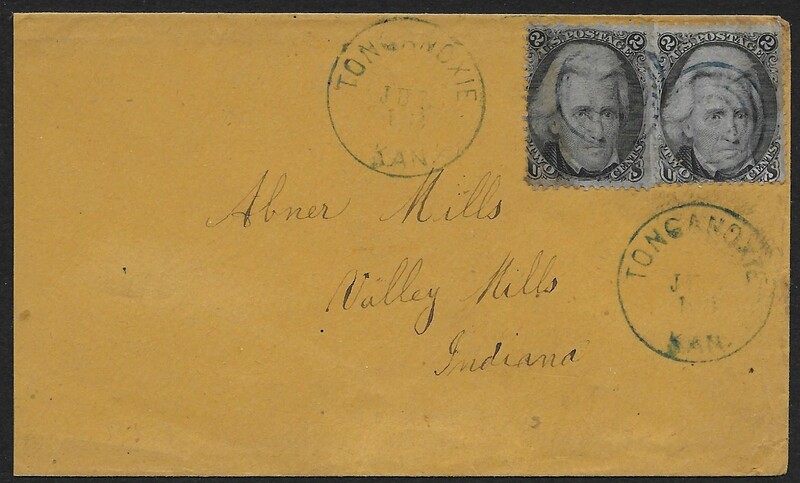 73 (Two singles) - Philadelphia, Pa.